Jackrabbits aren't really rabbits, and cottontails don't have tails of cotton. The former is a hare; the latter's tail is a white ball of fur. Though different, they both live in nests above ground. Jackrabbits are hares, leoprids belonging to the genus Lepus. They are larger than rabbits and were named for their ears which caused people to call them "jackass rabbits," but the name was shortened over time. Cottontail rabbits are leoprids of the species Lepus sylvaticus. Their name comes from their fluffy white tail which resembles a ball of cotton. 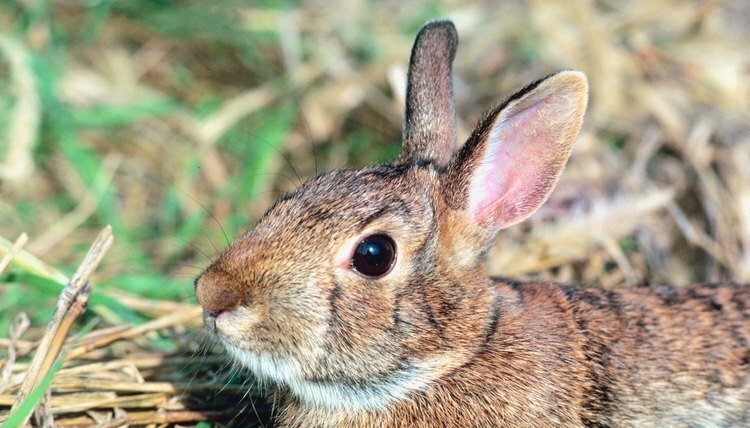 There are several species, but the eastern cottontail is the most common. There are five species of jackrabbits, all found in central and western North America. Black-tailed jackrabbits are common in American deserts, scrublands and open spaces. White-tailed jackrabbits are found in North America's plains, farmlands and wooded areas. The cottontail is found from Canada to South America and, in the United States, from the East Coast to the Great Plains. They inhabit the edges of open spaces, such as fields, meadows and farms, but can adapt to other habitats such as where humans live. When born, jackrabbits are fully furred with open eyes. They can fend for themselves soon after birth and are called precocial. On the other hand, cottontail young are blind and hairless when born and are called altricial. Female hares and rabbits can have multiple litters a year, each with up to six young. Hares and rabbits, due to their powerful hind legs, are speedsters. The hare can reach speeds up to 40 miles an hour while the smaller rabbit can attain speeds up to 20 miles per hour. They both run in zig-zag patterns to confuse their predators. Jean-Louis Jacobs has been a writer and editor since 1980. He has been published in newspapers, online, and in "Persimmon Hill," the magazine of the National Cowboy Hall of Fame and Museum. He has a Bachelor of Arts degree in English from University of North Carolina at Charlotte and did postgraduate work in history at Georgia State University.